For the month of December there were two choices for the Bo Bunny monthly bundles. Those two choices are Father Christmas and Blitzen. See here everything that is included with the I Want It All Bo Bunny Father Christmas Bundle. In this bundle you'll receive all the papers and stickers you see, not to mention an amazing variety of embellishments that coordinate perfectly with the papers! 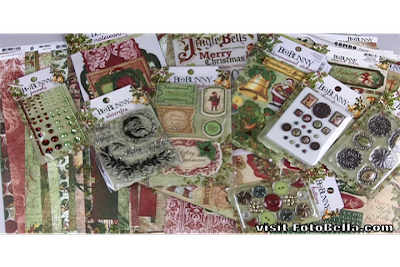 The Father Christmas bundle includes reusable stamps, layered chipboard, brads, buttons, jewels, and so much more! To get a better look at what's included in the Father Christmas Bo Bunny monthly bundle, watch our YouTube video! 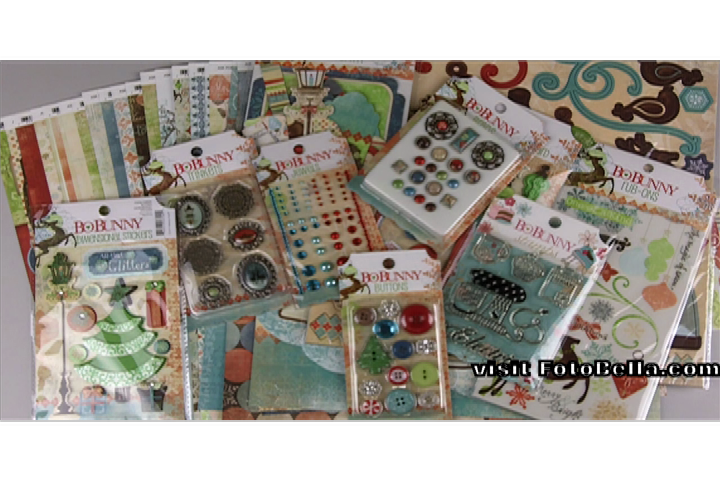 This bundle includes amazing papers, stickers and perfectly coordinating embellishments. 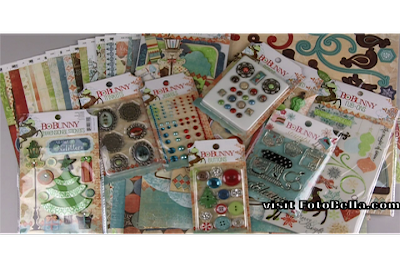 The Blitzen bundle includes a package of layered chipboard, dimensional stickers, trinkets, brads, buttons, reuasable stamps and so much more! For a better look at what is included in the Blitzen bundle check out this YouTube video. There were the two options in December for our Bo Bunny I Want It All membership. Don't miss out on any of the new Bo Bunny collections, purchase your own Bo Bunny monthly membership at FotoBella.com!